On levonhelm.com tonight, there's a message from his family that "Levon is in the final stages of his battle with cancer. Please send your prayers and love to him as he makes his way through this part of his journey." Watch Quick Hits: An Interview with Levon Helm on PBS. See more from Sound Tracks. In 1974 the three members of the Pulitzer Prize's fiction jury (Elizabeth Hardwick, Alfred Kazin, and Benjamin DeMott) unanimously recommended Gravity's Rainbow only to be overruled by the full 14-member board, which couldn't make it through the book (except for the pages they had dogeared and re-read to make sure they were "obscene"). The result was that no 1974 Pulitzer Prize for fiction was awarded even though they had one of the greatest novels of the century in their hands. It will be interesting to hear why the Pulitzers couldn't agree on a fiction prize this year between David Foster Wallace's The Pale King, Karen Russell's Swamplandia, and Denis Johnson's Train Dreams, but mostly the news of the unawarded 2012 award makes me want to finish what I'm reading now so that I can start on Gravity's Rainbow again as soon as possible. If I procrastinate enough, I might be caught reading it on Pynchon in Public day, May 8. 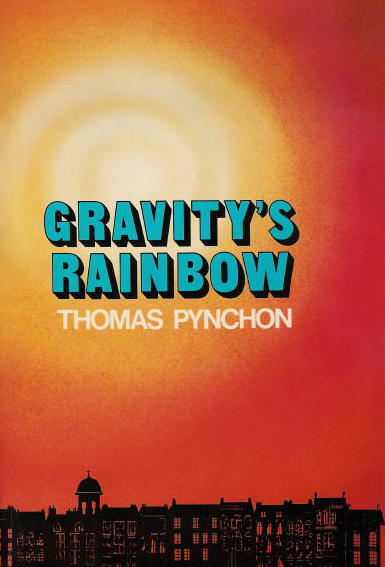 (Not only is May 8, 1937 Thomas Pynchon's birthday, but May 8, 1974 is the date of the New York Times article, "Pulitzer Jurors Dismayed on Pynchon".) What will you be reading in public on that Tuesday? How do we atheists worship on Easter weekend? I'll start by watching and photographing the wildlife in my backyard. This guy visited me earlier this week on his way to steal some eggs. I'm sure that he's hard boiling and coloring them now and preparing to hide them behind trees and in downspouts and birdbaths of Christian homes (this traditional and ancient leporine curse has been misinterpreted by Christians as a blessing for centuries). Photographic proof that Barack Obama is an alien! !